“… grateful for the opportunity to have touched her short life in a small way. She is now in peace and she managed to fulfill her last wishes. Rest in peace Jostaphine”. 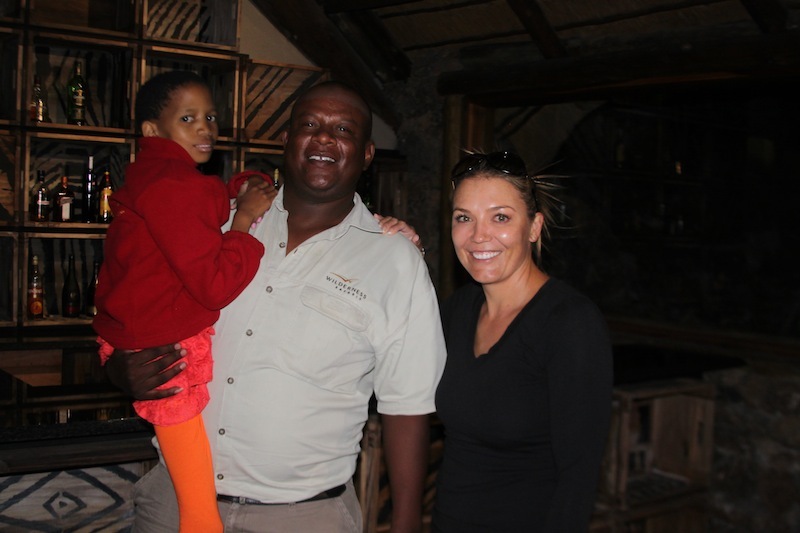 Jostaphine had just returned from a four day Safari, joined by her friend Marlice van Vuuren of the Naankuse Foundation. 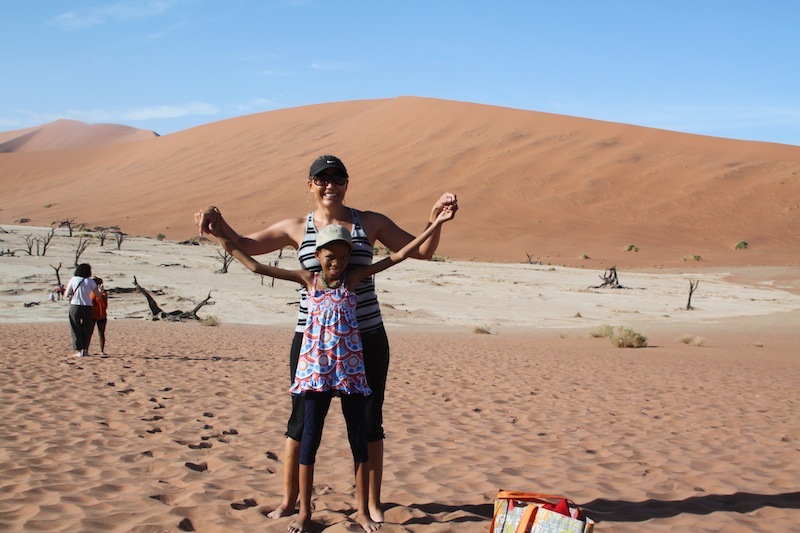 The little girl, who had never before seen any of Namibia’s top landmarks, had enjoyed a once in a lifetime safari to three of Namibia’s hottest tourist spots – Sossusvlei, Swakopmund and Etosha National Park. And on Friday, a day before she departed on her safari, she had fulfilled another one of her last wishes. Eating an ice cream. It was strawberry ice cream and she did not like it, Marlice said. “She didn’t like the ice cream at all. She said it was too sweet. But she loved the meat that was served at the lodges.”, Marlice said, joy and sadness mixed in her voice. Jostaphine’s life had taken a dramatic turn when her father brought her to the Naankuse Lifeline Clinic last year. It was the first time she was correctly diagnosed. Marlice and her husband, Rudi van Vuuren, then took an active role in helping to support her through medical funding and ensuring she received adequate health care. They privately paid for the operation which removed the massive tumour that had plagued the young girl. But the cancer had spread too far by that time, and no medical intervention could halt its course. It was at this point, that Marlice decided to help grant the girl a few of her last wishes. 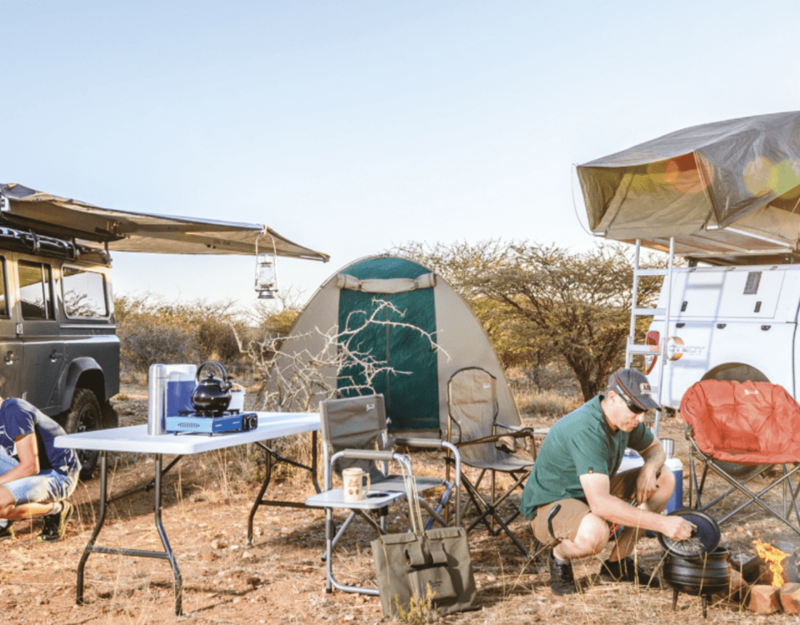 This included ice cream and an opportunity to see more of Namibia. Bot wishes came true during the last days of her life. Tasting an oyster in Swakopmund, which she professed not to like. Enjoying an ocean safari where she came up close and personal with a seal for the first time in her life. The roomy beds in the hotel and lodge rooms where she and Marlice overnighted. 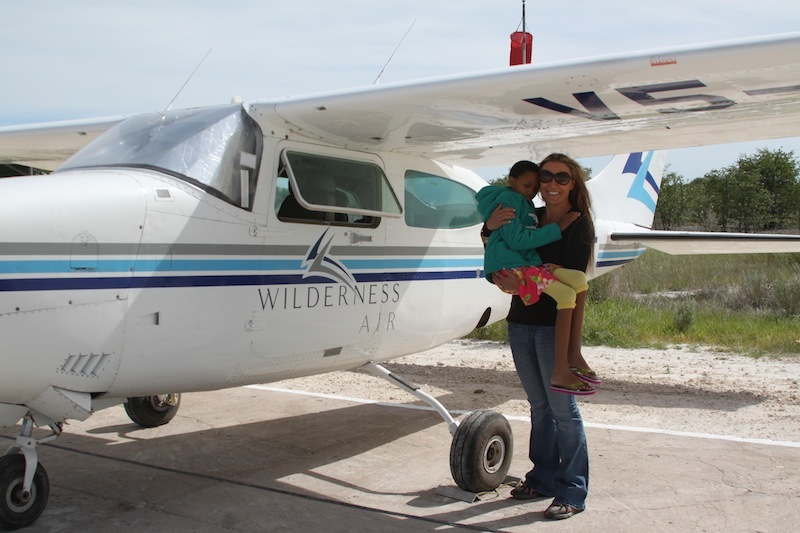 Marlice said she especially enjoyed flying with Wilderness Air, from one destination to the other, which enabled her to get a grand overview of Namibia from the sky. And her journey brought her into contact with new friends during her stays and participation in events. A letter was sent from a group of Wilderness employees after they heard of her passing away. In it, they said “We are so sad to learn of her passing … And grateful to Rudi and Marlice for giving us the opportunity to have touched her short life in a small way. She is now in peace and she managed to fulfill her last wishes. Rest in peace Jostaphine”. One or two things (like the ice cream) were not so welcome. Despite gentle prodding from Marlice, she refused to put her feet into the ocean, saying she is “scared it will swallow her”. Marlice said that during the last two days, despite being tired and weak, she kept on saying “can we stay longer?”. While the family and her friends are relieved that Jostaphine’s last days were not spent in a hospital bed, Marlice says she regrets that Jostaphine did not have time to tell the story of her adventures to her friends and family. Her death, in that regard, came too soon. “But I am glad that she did not spend her last days in a hospital on an oxygen mask. At least she was spared that”. 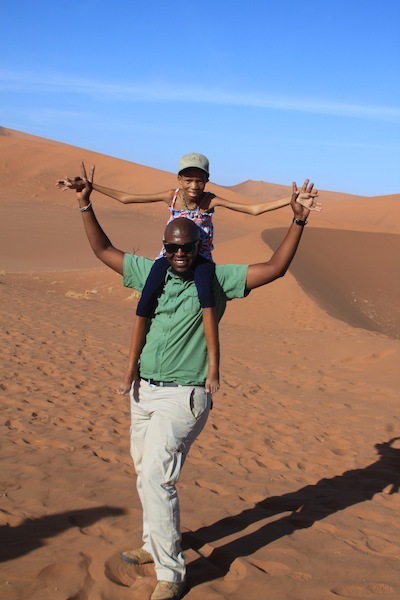 Her father, Johannes, has expressed his gratitude that his daughter was able to experience an adventure before she passed away. The funeral will take place on the weekend of the 15th or 16th of February. Final funeral arrangements are still underway. Marlice noted that this sad event could be the event that puts into motion a new course for the Naankuse Foundation and its donors. 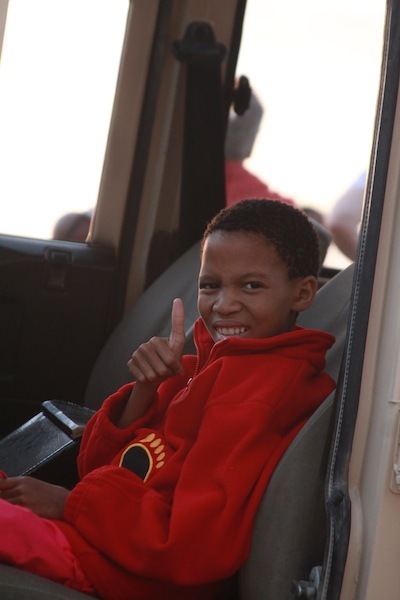 By starting the Naankuse Foundation Lifeline Fund the organisation could more often grant the last wishes of marginalised terminally ill young Namibians.